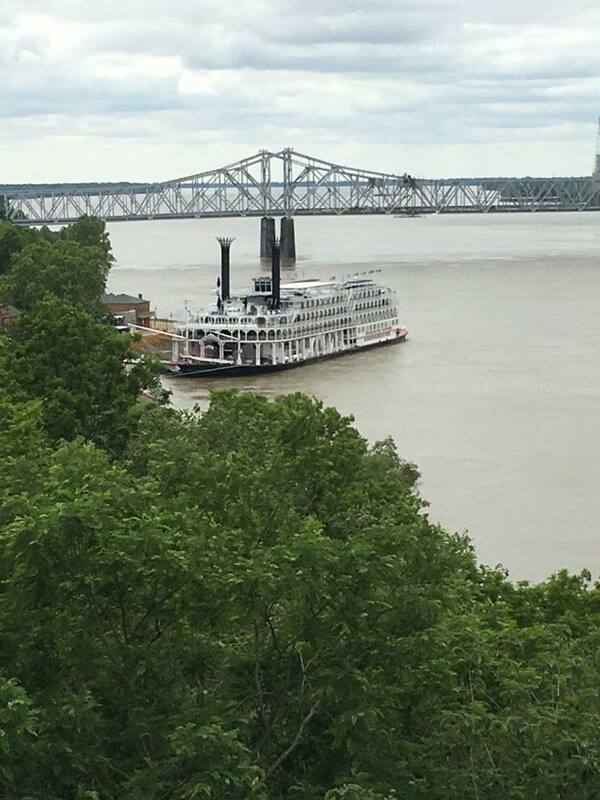 It's like a trip back in time, aboard a paddle wheel river boat, calliope music playing as you are headed down the Mississippi from Memphis to New Orleans. 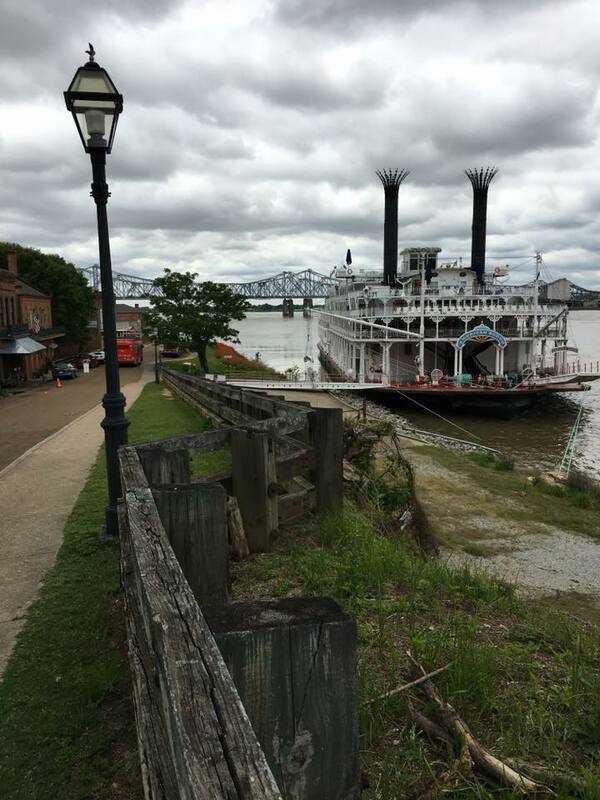 My Aunt and Uncle, Beverly and Bill Matarese recently got to take this romantic Mississippi river journey through history aboard the American Queen Riverboat on the Mississippi River. I asked them to participate in A Go See It People Interview, to share their experience and photos! Because they are retirees, with plenty of time, Bev and Bill were able to make a road trip from New England to New Orleans. They enjoyed the Blue Ridge Parkway and Great Smoky Mountains National Park along both legs of their trip. when they arrived in New Orleans, they left their car at a stay and park hotel and rented a car to drive to the embarkation port of Memphis, where they met the American Queen. Their cruise fare included a pre-cruise night at a Memphis hotel, where they met the other folks raveling on their cruise.. The ports of call for this cruise were Greenville, Vicksburg, Natchez, Baton Rouge, St Francesville, and Nottoway Plantation. Embarking in Memphis and ending in New Orleans. Everywhere along their journey they had the opportunity to learn about US history. In Greenville, they toured a museum remembering the Great Flood of April 1927, when the whole town was under water for 3 months. In Vicksburg, there was a tour of the Civil War battlefields in Vicksburg, that played a pivotal role in the control of the Mississippi River. 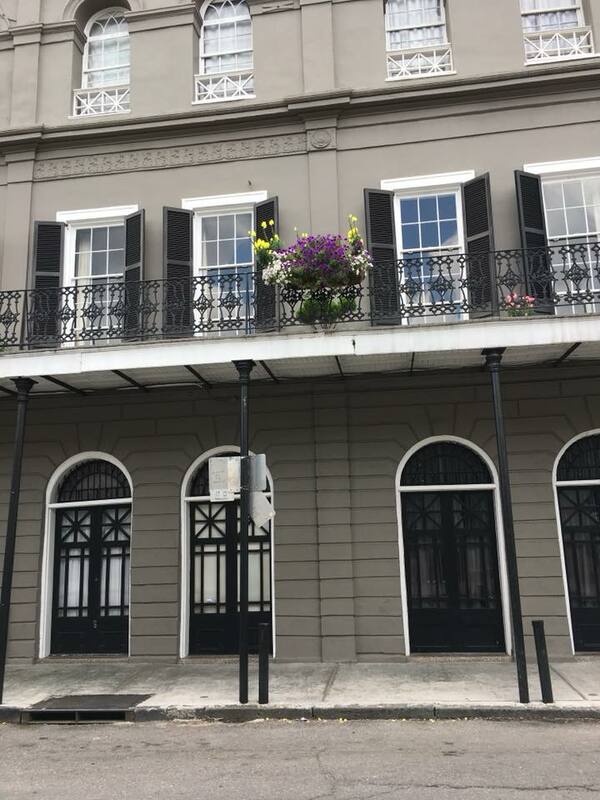 In Natchez, which Bev thought was one of the prettiest towns on the cruise, they toured the William Johnson House, where they learned the interesting history of one of the few freed black men in the pre Civil War south. Next in Baton Rouge, they had a city tour where they learned all about the antics of infamous Baton Rouge Governor Huey Long. St Francisville included a tour that took them to the Myrtle Plantation and through Royal Street to see many more historic homes. In Nottoway, the Cajun Swamp tour was offered as well as a chance to visit White Castle, a finely restored plantation. Q: Why did you want to take this trip? A: "I’ve always wanted to do this cruise but thought it was expensive. By booking over a year in advance and taking an inside cabin it became affordable and was well worth the money. It was so nice to river cruise in the US. Also any one who had done it (before) could only rave about it. My own sister Edwina said it was the best trip she ever did and she has traveled a lot." Q. What surprised you about this place? What was your "don't miss it" attraction? A. "I didn’t realize how complete the cruise would be. Every thing was arranged top shelf. The only problem was deciding what to do. Wish we could do everything. Don’t miss...the calliope playing (on board) as we left port. The other (don't miss attractions) were the Civil Rights Museum in Memphis and the World War II Museum in New Orleans. Although, Bev, an experienced ocean cruiser, was concerned about the higher prices of a river cruise, with a river cruise, she discovered all of your food, drinks, AND excursions are included in the price of the cruise. This is a nice feature that allows cruisers to select from several tours offered each day. As Bev noticed, it can be tough to decide which tour to do, since all of them are good options! Alligators spotted during the Cajun Swamp Tour, an included shore excursion aboard the American Queen. Q. What tips would you give for someone who wants to take this cruise? Anything special you should pack? Anything you’d do differently? A. "I took too much clothes as there was a washer and dryer on the boat including Tide Pods! I might have gone earlier in the season as it was very hot on the road trip (to New Orleans), but it was warmer the usual. ...going early caused the Mississippi to be swollen (in places) and (we) couldn’t always dock where we wanted." French Quarter Architecture, according to the bus driver, a home formerly owned by Nicholas Cages. Once in New Orleans, they disembarked and used the Hop On Hop Off bus to explore the French Quarter. Beverly and Bill are active retirees who split time between Maine and Massachusetts. wWhen they aren't traveling, they enjoy riding their motorcycle, or their motorboat, and spending time with their 3 grandkids. About 2/3 of our travel is intentional, meaning, we intentionally choose the destination and plan to travel there. About 1/3 of travel is what I like to call opportunistic, meaning an opportunity to travel comes up through business or personal matters, and we make an effort to expand that into experiencing the destination the best way we can. Sometimes, it's just a morning photo walk on the way to a day full of busy meetings, or it's dragging relatives around the tourist circuit during family visits. There is is almost always time to sneak in the adventure and spirit of "travel" into any ordinary errand or weekend. We have a friend has challenged himself to visit every city and town (350+) in his state. This doesn't require any advance planning, or more money than a tank of gas! The adventure of travel, costing almost nothing, and his life is richer and more interesting for it! We've posted a few photos hinting at our upcoming travels (many repeat visits, some new!) We hope you enjoy them, and most importantly, we hope you enjoy your travels, whether they be an epic trip to Australia a friend is secretly planning for their spouse, or ticking another town off your state map some Sunday afternoon! We wish you a very happy New Year and safe travels in 2018! There won't be any roses during a winter trip to St Ives, England, to visit relatives, but we will be able to take advantage of a flight that includes a layover in Iceland. We have relatives in Great Britain, and when we visit, we often expand on our travels. This year my daughter and I are taking advantage of Icelandair's offer of a "free" layover in Iceland of 3-7 days, when flying to Europe. This has become hugely popular, and the jump in tourism to Iceland proves it out. Expect to see more small airlines offering these kinds of specials in the futute. It's a fabulous way to turn a connecting flight into a mini vacation! We will spend about a week with relatives and visiting London, and then fly to Reykjavik for 4 nights. This short winter trip won't allow us to experience the whole scenic ring road, but we will have time to explore the Reykjavik food and bar scene, relax in the thermal pools and (fingers crossed for the right weather conditions) experience the northern lights. My favorite thing about social media? Crowd sourcing ideas of places to visit with friends who live in the locale or have been! A diverse group of friends had suggestions for art, hikes, food and gardens to experience during an upcoming trip to AZ! A winter conference provides an opportunity to take a long weekend to explore Arizona. With local friends to visit, and a chance for Jeff to see the Grand Canyon for the first time, we plan to bring both bathing suits and parkas and take a road trip through the desert to the Grand Canyon after a business meeting. A cruise leaving out of Galveston, gives us a chance to explore this island off the coast of Texas before leaving for the Western Caribbean aboard Liberty of the Seas. We tend to balance small ship cruising with large ship cruising. Every time we take a small ship cruise we marvel at it's ability to tuck into tiny places (like our Azamara Quest Cruise working it's way through the narrow gorges to Montenegro last fall!) But then on some quiet night, we think of all the entertainment offered on the big ships, and we love the excitement of bouncing from night club, to water slide, to Broadway style show, at anytime of day or night! 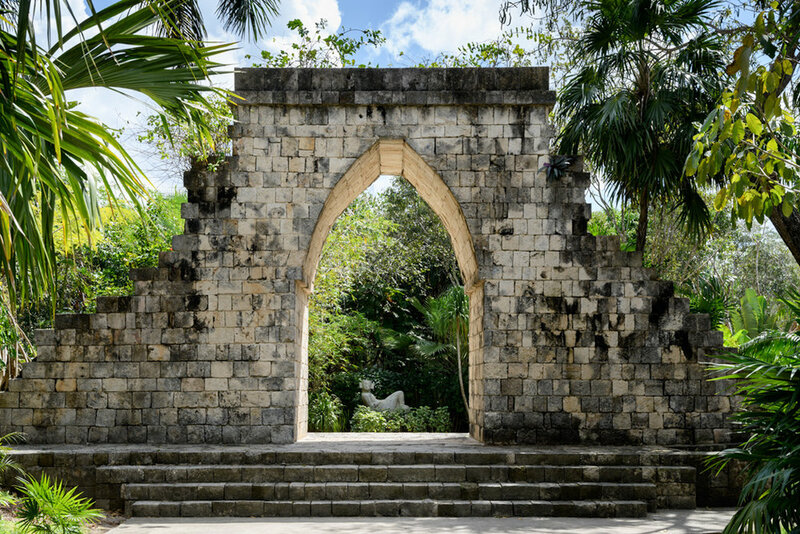 So Liberty of the Seas will fill our craving for a mud season escape with plenty to keep us entertained, and we will get to explore Jamiaca, Cozumel and Grand Cayman again! Wait, Is She Cruising AGAIN? Zumba Cruise! This Zumba class was held by Zumba with Judy http://zumbawithjudy.com/ and raised over $2000 for hurricane relief in Puerto Rico! About 5 years ago, I went on a cruise and met a wonderful couple, Amy and Randy from MO who were sailing the same ship (Randy and I "met" online on a cruise planning website BEFORE we sailed, and spent months obsessively planning every detail of our cruises!) We shared lots of planning ideas and a once we got on board our families shared a lot of laughs and a crazy excursion aboard High Pockets in St Thomas. Amy taught Zumba classes in MO and I had never heard of such a thing, but because she made it sound so fun, I started going to Zumba classes when I got home. Pretty soon, my husband and kids were joining the fun at Zumba. One of the best things about Zumba, is as Jeff says, "Its like the Catholic Church, you can go anywhere in the world, and even if you don't speak the language, you basically know what to do, and you'll be welcomed!" Although I would add, you can also wear a lot less clothes to Zumba! This summer we head back to Alaska for a special celebration of our daughters' college graduations. Like their parents, they much prefer an experience as a gift, so we will spend a week aboard an Uncruise, planned for us by Expedition Trips, who expertly organized our Polar Bear Safari in Churchill Manitoba. Uncruise is a line that operates small expedition ships throughout the Northwest, priding itself on getting guests closer to the action and in a more active way. The ship includes an activity platform where you can launch to explore the coast on kayak, or aboard small skiffs, to land and take hikes in places inaccessible by vehicles. With no more than 80 guests on board, we can expect plenty of personal attention and no crowds! "Not Planning" Planning Way Ahead with This Guy! Kathy with her new friend, Randy back in 2013...on his first, but certainly not LAST cruise. Our spouses, Jeff and Amy tolerate our obsessive planning because they get to enjoy the cruise too! And what about those friends we met on an Allure of the Seas Cruise back in 2013? The ones we helped develop a passion for cruising, and she helped us find the fun of Zumba, even though we all live half a country away? Well, they celebrate a big wedding anniversary in 2019 and have planned a BIG group cruise (more than 40 people so far) on one of the BIGGEST cruise ships in the world, Harmony of the Seas. And while we aren't the ones "planning" the trip, we are happily signed on to travel with our friends again and help them celebrate! The joy of travel for us is sharing our trips with people we care about, visiting old friends and loved ones, meeting new people, and sharing the stories and pictures with anyone who enjoys them! We have a wonderful mix of those kinds of trips planned in 2018 (and 2019!) and we can't wait to share them with you. We also love hearing all about your trips too, and please contact us if you have something exciting happening, and let us know where you are headed in 2018, we love to do interviews for GoSeeItPeople! We can't be everywhere! Canada is a great place to visit whether you are celebrating 35 years of marriage or Canada's 150 years as a country! to get to by car and it is like visiting a little bit of "Europe". The Chateau Frontenac looks like a medieval castle in Europe, but it's in the 150 year old country of Canada! Quebec's narrow streets also remind people of Europe! GSIT: how did you plan your trip? Did you use a travel agent or tour? 4 nights and went on July 4th! GSIT: what surprised you about this place? Is there a "don't miss it"
L'Affaire est Ketchup-super casual and the food is AMAZING. Small place, have 2 seatings, they cook to order -we know because we sat at the bar which is in their kitchen-food is so delicious and the owners/waitstaff are friendly and it was the best meal we had all vacation. Judy: Make sure to use a debit card where you don't get charged fees for gettinglocal cash. I would take layers (of clothing for changeable weather). Bring good walking shoes to walk around the Old City-you can also rent bikes there. Dress is casual in most places. information and was very accessible. JUDY is a lawyer who runs her own fitness business in suburban Boston. She's been happily married to Jon for 35 years and has three grown and flown children! Thanks for sharing your celebration trip with us! All photos by Judy and her husband, Jon. Up the East Coast with "Open Hearts and Minds" and a Baby in a TESLA! Wherever you go, leave your heart and mind open to new experiences and endless wonder. J & G : We decided on this destination because my husband has family in Maine and his family heritage is part French/Canadian, so we also wanted to travel to Canada and revisit the city of Montreal to explore what feels like a small version of Europe. On the previous trip (summer of 2014) we drove a 2012 Kia Soul with three adults and the remaining space filled to the brim with luggage to be on the road for a month. This time around we decided to purchase a 2012 Tesla Model S 85 with an ideal range of 280 miles per charge. This allowed us to travel without a cost for fuel as we were using the Tesla Supercharging network throughout our path up the East Coast. GSIT: How did you plan your trip? Did you use any websites or special apps? J & G: On all of our trips, we outlined the dates and times of stays and travel time in Outlook. We create meetings in Outlook that are labeled as the following: location, travel time and distance. This sort of planning allows us an opportunity to view an outline of our entire trip. It also gives us a chance to look up points of interests along the way. All of this planning we did, we did before knowing we were going to have a Tesla. On previous trips we used a TomTom to navigate from one location to the next. With the Tesla’s built-in GPS, we were able to put in our destination and the GPS located all of the charging stations along our path, and it also provided an estimated time that we needed to charge to help us reach our next charging station or destination. For this trip we wanted to rely on “modern” travel stays vs. hotel stays. For example, we used airbnb to stay in people’s homes or apartments to allow ourselves the experience. We also found that most airbnb’s were cleaner than some hotels. At locations that we could not find a good airbnb, we relied on Hotels.com which is a subsidiary of Expedia.com. J & G: When we were planning the trip with a gas car we thought about the cost of gas and hotels to get from Florida to Virginia and compared it to the cost of the nation’s only Auto Train that travels between Sanford, FL and Lorton, VA. We booked it assuming it would save us money and time. While it did save us time it did not save us much money as we ended up getting to charge for free the remainder of the trip. The train required us to have the car loaded on at 2:30 PM and hang out at the station until 4 PM when it departed. They provided Dinner and Breakfast as part of the train ride and we got off the train at 9 AM. We reserved a Roomette that had a bunk bed in it allowing us to lay down and attempt to sleep during that portion of the trip. Once we arrived in Lorton we traveled to Maryland to visit some of Jayson’s friends from college and allow Atlantis to meet their children. Then next stop was Burlington, VT where we got to visit Church Street, the Cabot Annex store, Magic Hat Brewery and the Ben & Jerry’s factory. Those were the main stops but we fit in about 5 smaller local breweries in there too. After Burlington we went to Montreal, Canada. Some people may wonder how it was crossing the border with a 10 month old, it was surprisingly very easy. When our daughter was first born we knew some day soon we would take her out of the country, so it only made sense to get her a passport while doing all the other paperwork that comes along with a newborn. When we got to the border they just looked at the passport and looked at her through the car window and sent us on our way. Montreal was a real treat, as it was fun place to visit other people who spoke another language, stay in our first airbnb, and experience all of what attracts people to this glorious country. I’d also like to add, after many visits to Canada, it was my first time eating the local Quebecois dish, Poutine. The Montreal Biosphere was a fascinating place to explore the environment for a couple dedicated to preserving it as owners of a two electric vehicles! Designed by Buckminster Fuller for the 1967 Expo, it's a popular museum dedicated to the environment today. GSIT: What surprised you about the places you visited ? Is there a "don't miss it" attraction? J & G: Out of all of the places we visited, Helen Georgia was the one stop where you’d want to go to visit a place unlike any other in the United States. It’s no Disney...World or Land, BUT it is worth visiting it at least once in your lifetime. The town of Helen, GA is a made to look like a German town that was built and transformed in the 1960’s. That’s not even the best part! What made this a fun and memorable stop was the cheap ($5) attraction to go tubing for 2 hours down the river that cuts through the town of Helen. Once you’re done with a day of tubing, it’s nice to grab a bite to eat at Paul’s Margarita Deck, overlooking other tubers as they travel down the river. Every place to stay in the town is also walking distance from anything you’d want to do while you are there. Helen even had ONE public charging station for any (EV) electric vehicle. Helen GA with it's colorful German Town. In addition to visiting Helen, GA my husband and I would also recommend to anyone and at any age, to go visit downtown Asheville in North Carolina. Downtown Asheville was one of those places we just wanted to check out and then we both just fell IN LOVE with it! To sum it up in a nutshell it’s an eclectic and artsy town that has over two dozen breweries, fun shops, and great places to eat. J & G: A good rule of thumb when it comes to traveling, at least this is what we found helpful is to remain flexible during your trip because you never know when a hiccup might occur. Always plan out what you want to do before you leave, unless you like to travel with spontaneity in mind then by all means, but, when planning a head it really did help us when pre-booking hotel rooms and airbnb’s. Also it’s crucial to check your finances and expenditures, and to check your bank account daily or every other day. When it came down to packing for a long road trip, we brought with us a few essential items; a collapsible tote bag for dirty laundry, laundry detergent, and coins for doing laundry and paying tolls. It’s also a good idea to pack an emergency card for all passengers traveling. My husband and I didn’t do this, but after thinking back about our trip, it would have been safe thinking to have if the emergency cards on our phones weren’t able to be activated in the event of a dead or lost cell phone. Other items we packed were a first aid kit, a car safety kit, an all purpose car tool that can shatter windows, cut seat belts, and pop airbags in the event of an emergency if necessary, and we also made sure to pack umbrellas, and rain jackets (which did come in handy during the summer rain). Furthermore, besides packing all of the important essentials, we definitely had to pack car snacks for us and the baby, and just for fun, I had to pack the selfie stick for those tricky family shots when nobody was around. 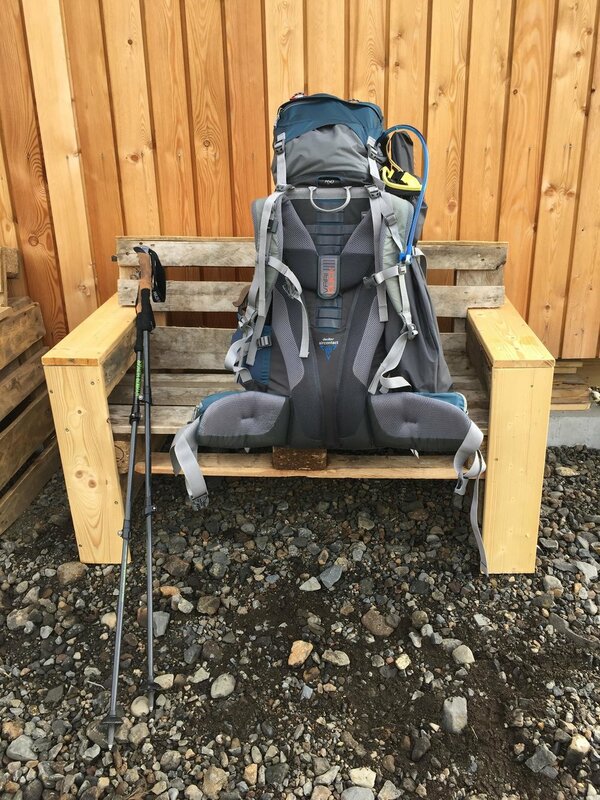 GSIT: You took this trip with a baby in an electric car, in what ways was that challenging, rewarding, what would you do differently, what would you do again and suggest to others doing the same trip? J & G: Taking a baby in an electric car was really no different than taking a baby in a gas car. Actually, driving in an electric vehicle was somewhat less challenging and more convenient than a gas vehicle as my husband and I were able stop at regular intervals due to charging. Now, some may think this might be more of a nuisance, but when it came to driving long distances, it was quite the relief to get out of the car and stretch and have a break more often. Gas cars may be able to go longer distances without stopping as frequently compared to EV’s, but when having a young baby in the car and you knew it was time to charge soon, it felt great to have those much needed breaks. At the same time, those frequent breaks sometimes did make it challenging when it came to the baby falling asleep for naps. As most people know, driving is a great way to put a little one to sleep, but with charging times sometimes taking longer than one would want with a baby, it would also wake her up due to the car no longer moving. However, one of the really nice things about having a Tesla is being able to charge at all of the superchargers, because the superchargers were mostly all located in great locations where you could grab a bite to eat, find a Starbucks or even walk around in a few department stores. By having the Tesla it made us experience more of the places we were stopping at than we normally would have on a trip. If you are wanting to do a similar trip, whether you’re in a gas car or an EV, I would suggest one parent to ride in the back with the baby and have one parent be the navigator, or take turns with the roles of driver and entertainer. Also having a basket of your child’s favorite books and toys is a huge help! We even scored some awesome Fraggle Rock puppets that were super helpful and fun. But most of all, take lots of pictures and video and enjoy the time creating memories with your family. The Caissie Family visiting me on the beach in Maine, where they got engaged at a Fourth of July family cookout three years earlier, with their new baby daughter! Grace Caissie- I’m 28 years old, and I am a Teacher of students with visual impairments and blindness, also known to some as a TVI. A few of my interests are being a mommy, Japanese culture, eating good food, cosplaying, and going to Disney World often. I was born and raised in Florida where I met my husband who has encouraged me to take on more journeys and adventures with my life. Jayson Caissie-I’m 30 years old and I was born in Massachusetts. I moved to Florida when I turned 3, and it’s also where I met my wife. I am a High School technology Teacher and I work with kids in getting them certified in CompTIA A+ certifications in computer hardware and software, for example: Microsoft Office (Word, PowerPoint, Excel, Outlook, OneNote, and SharePoint). Currently I just received my Master’s Degree in Educational Technology, and I plan to further my education by working towards getting my Doctorate. Some of my hobbies and interests include, technology, movies & film, going to breweries, and alternate forms of creating energy, like solar, wind, and electric energy. Right now I’m very passionate about electric vehicles and cutting down on our carbon footprint. For anyone who may read this and is interested in learning more and connecting with other electric vehicle owners, I created a Facebook page called SWFL EV Owners. Canyoneering, (above) ziplining, river rafting, spotting a sloth... on the ground! The Feifer family did it all and tells GoSeeItTravel how! We can't be everywhere, though goodness knows we've tried! So we love to tell other people where to go! Occasionally, they even listen to us! Let me re frame that. The Feifer's are a wonderful family of 4 from New England, Two busy professionals and their teen son and daughter who love adventures where they can take time to connect and be active. We met the Feifers in Ecuador, on an adventure to the Galapagos Islands. At the time, I referred to them as the "brochure family"; meaning that their family looks like they match perfectly and are always having such great fun, that they could be used on a travel brochure to advertise the destination! So when Mom Marianne approached me about an idea for their next big trip, I could just picture them on a brochure for a trip to Costa Rica! I gave Marianne some advice on her itinerary and she very generously shared her story and photos of her family's adventure. I hope you enjoy all the vicarious thrills the Feifer Family did, and we thank them for sharing their adventures with us! How did you decide on this destination? Why did you want to go? Over the years, we have discovered that we really enjoy active vacations and seeing wildlife. Can you say Galapagos? We were also looking for a location that did not take a day to get to as we only had about 6 days to spend anywhere. We thought about Yosemite, as well, but we couldn’t find either a group tour or a private guide whose timing worked. Oh boy...what didn’t we do? It's not all adventure...the Feifer teens had time to relax in a hammock with a good book! ● Ziplining under the canopy. ● Canyoneering Adventure included repelling down waterfalls, some hiking in water, and a few zip lines over the water. I LOVED this as it required physical fitness and using your brain to figure out where to put your foot next. Despite getting a shiner while rafting the Pacuare, Marianne tells us, she loved the active adventure offered in Costa Rica. ● In the evening, we visited a Hotspring. ● Ziplining above the canopy where we could see the Arenal Volcano. ● Hike in Manuel Antonio National Park. We saw sloths, spider monkeys, howler monkeys, capuchin monkeys. ● At our hotel (Arenas del Mar), we got very close to a sloth and were able to watch him move and were greeted by capuchin monkeys. Marianne's son spotted something rarely seen, a sloth headed to the ground, which they do to defecate. There’s more than one don’t miss it. ● Stay at an ecolodge. ● Mosquito Repellant! Well, you are travelling into a rain forest! Given the recent rise in Zika (although we weren’t in areas that were especially effected at the time). Before the trip we bought a product that you sprayed on your clothes to make them bug repellent. And, we still brought lots of bug repellent and sun screen. ● Also, we checked CDC recommendations for vaccinations. We were able to use the oral typhoid vaccine. ● Water shoes that you are comfortable hiking in. Our guide is also a known birder in the area. He had a fabulous camera as well as binoculars that we could use. He shared pictures with us AND showed us how you can take really great pictures with your iphone through binoculars. He also got as excited as we did when we saw some wildlife - like the spider monkeys! If you’ve never had it, try the guanabana juice. Say “Pura Vida” a lot! Marianne enjoying the Pura Vida, (good life) in Costa Rica!